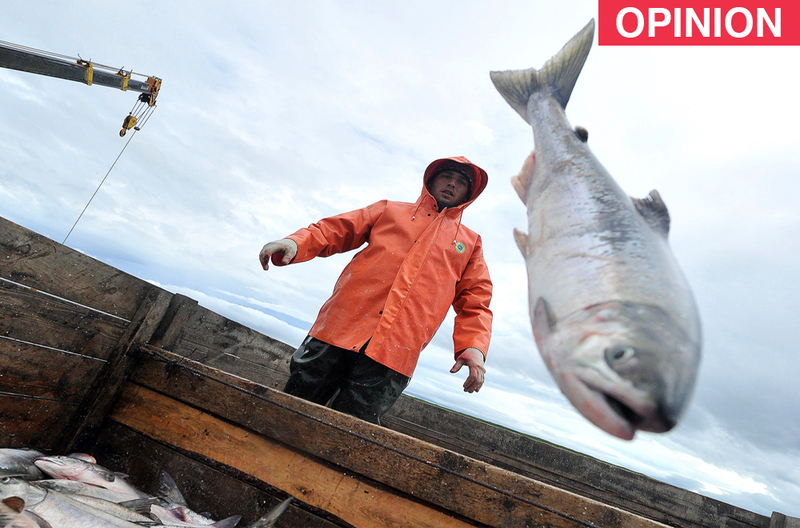 China is one of the largest importers of Russian fish products. Despite excellent political ties between Russia and China, bilateral trade stands at just $68 billion. This, obviously, makes both countries look for new sources of growth. A Skolkovo analyst shares her views on how Moscow and Beijing can fulfill their trade potential. Agriculture is one of the few sectors where trade between Russia and China has demonstrated positive growth over the last few years. Bilateral agricultural trade touched $3 billion in 2015. It is hardly surprising that the potential of this sector was noted by the Vice Premiers Arkady Dvorkovich and Zhang Gaoli at the opening ceremony of the Second Russia-China Forum of Small and Medium-sized Businesses, which was held in Sochi in late May. At the forum, both countries presented their views on how to develop the bilateral relationship. It is interesting that the Chinese leadership uses ideological terms to communicate with the international community. With regard to Russia, China uses the word ‘complementarity,’ which is aimed to ensure productive and sustainable long-term cooperation. However, the question is whether both countries benefit from the current complementary partnership or it is just China that takes all the gains from the game? For a long time China has been one of the fastest growing consumer markets in the world. According to a recent study of the Boston Consulting Group, even today, despite the economic slowdown, its volume will increase from $4.2 trillion in 2015 to $6.5 trillion by 2020. With rapid growth in urbanization and the subsequent shrinking of the number of farm workers, China faces significant challenges to ensure its national food security. The effort to confront this growing issue is impeded by the ecological consequences of intensive farming that has been practiced for decades. To tackle these challenges China is focusing its strategy on industrialization, technological advances, as well as radical reorientation towards green practices. According to the OECD, in 2015 China spent 20 times more than Russia on agricultural advancement. The State Council of China says this should bring tangible results by 2020. In its strategy China does not only look to modernize agriculture, but also aims to establish new global industry standards. This was the main message of Tang Zhong, the Head of the Institute of Agriculture at the Rural People's University of China, at the Sochi forum. China also places great emphasis on international projects. It has been actively acquiring companies, technologies and brands around the world. In January 2016 alone, 82 international M&A deals worth $73 billion were announced by China, compared to $6.2 billion in all of 2015. This demonstrates that China is deliberately working towards its goals to not only resolve the food security issues and but also become an influential player in the global agro-food arena. Russia is a logical choice to help China achieve these ambitious goals. Availability of resources in Russia, the growing consumer market of China and the land border of 4,200 km are the natural conditions driving both countries to find ways to complement each other and build mutually beneficial collaboration. However, in contrast to a strategic approach of international investors, who are extensively launching infrastructure projects and production farms in Russia, China so far has been looking at the country from a very narrow perspective and focusing only on farming on leased land. The recent decision to rent out 115,000 hectares of agricultural land in the Zabaikal Territory could become an illustrative demonstration that China gains more than Russia. The math is simple. If we take annual rental income for the price offered to China at 250 rubles per hectare, and direct costs, cost of cultivation and market price for soybean, then even by conservative estimates the economic value for Beijing is 20 times higher than that for Moscow. And this is not taking into account the multiplier effect for China, which trickles down to other areas of agriculture, as well as the impact on Russia of losing yield value on land over Chinese production in the long run. It’s obvious that such collaboration can barely be called complementary and beneficial. Russia can only gain value if with Chinese investments it will be able to boost agricultural growth, fully integrate into the global supply chain and ultimately become competitive in the international market. However, the agreement with China doesn’t help Russia achieve any of this. Let’s imagine that China is leasing all available land. Is this strategy sustainable in the long run? According to WWF, the world is using 50 percent more natural resources than the planet can generate. The overuse of resources can have a critical impact on China. On a top of resource scarcity, the growing middle class, which by 2020 is expected to reach 40 percent of the population, is driving the food demand and changing the nature of consumption. However while China is focusing on traditional approaches, the future prospect of food security lies in alternative sources of food including those replacing animal protein. Edible insects, lab-grown meat and jellyfish are just a few areas where numerous startups have emerged and even gotten support from local governments. Neither China nor Russia includes such topics in their bilateral agenda. What is already on the table and has lots of potential for growth is aquaculture, which accounted more than 70 percent of Russian agriculture exports to China in 2015. Regardless of internal factors, which contribute to the development of the bilateral relationship, it is a challenge to make it truly complementary and mutually beneficial. What complicates it even more is a huge gap between the countries in social aspects, language, business culture and attitudes. Both Russia and China are able to work with the West much better than they are with each other. Today, Russia and China must learn to work together to bridge this gap, and make this a priority. The author an analyst at the Institute for Emerging Market Studies, Moscow School of Management SKOLKOVO. Views expressed are personal. Why is Russia borrowing money on the foreign markets? Is Rosneft about to fall under Chinese control?